My wish to have an abundance of white flowers here at Coppertop has been granted. It’s wonderful to gaze out the windows into today’s mix of sunshine and misty grey weather and see that the day is brightened by white blooms. 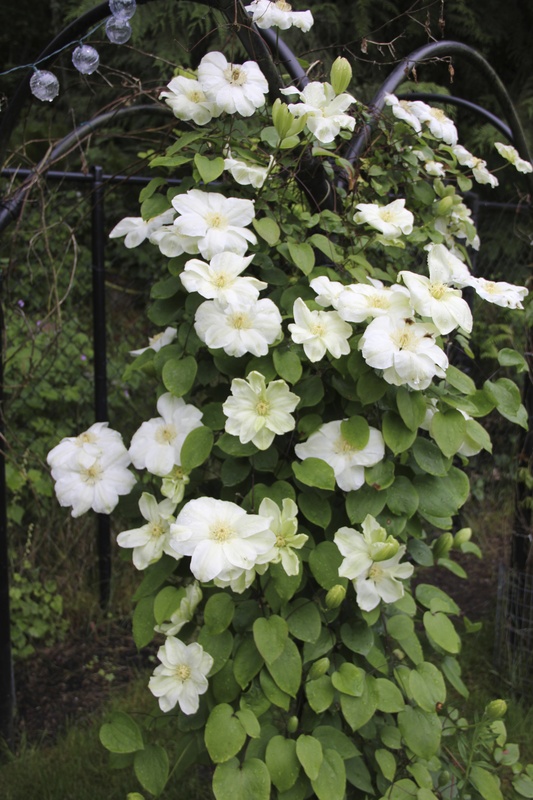 I’m thankful for spots of bright white in the gardens from the viburnum and the roses, and I’m completely bowled over by the beauty of this clematis growing along the black arches. Perhaps it is the variety “Guernsey Cream.” I planted another young vine of that variety down against the garden shed, unaware this stunner was here all along. The flowers are enormous, ranging from 6 to 8 inches across. 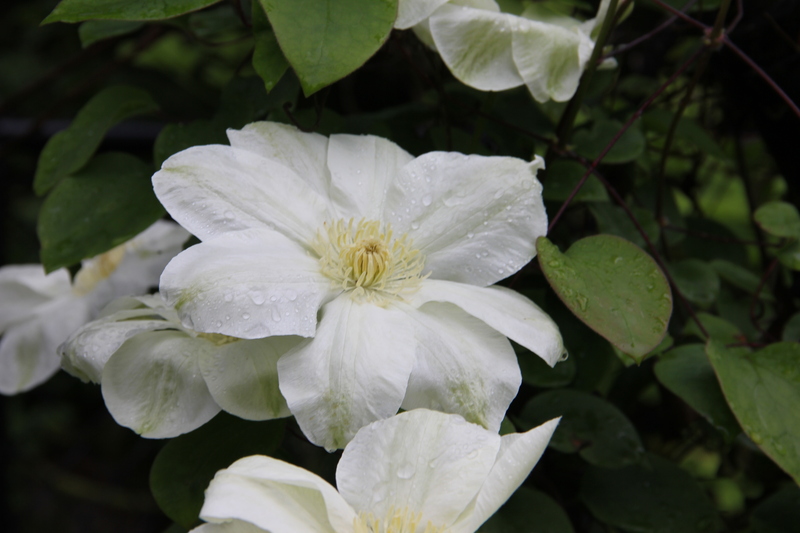 This entry was tagged Coppertop, gardening, guernsey cream, Olympic Peninsula, white clematis, white flowers. Bookmark the permalink. I love your blog! Not only are you a fabulous photographer, you writing is so well done and very informative. I look forward to every new article. Mary Jane, thank you for your kind words! You are very close by, and we welcome you to visit at some point. Can’t wait to have those Gruvers up here in August!